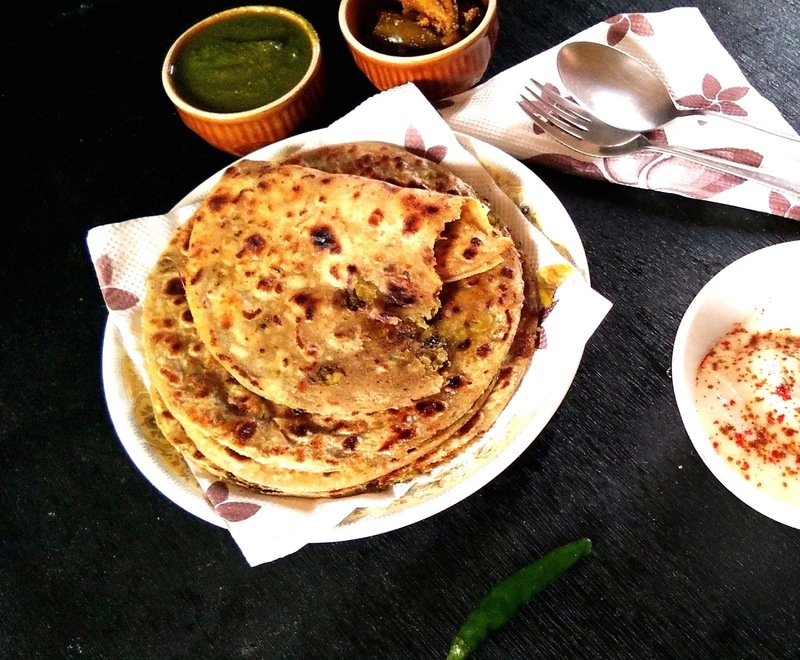 Parathas are very popular breakfast meal in Indian kitchen, specially in north Indian homes they are most popular in Punjabi family. A quick breakfast serve with curd, pickle, chutney or simple tari wali aloo ki sabji.every homes as its own method. some people knead the dough with stuffing ingredients, some prepared by stuffing. पराठा हिंदुस्तानी रसोई का प्रसिद्द नास्ता है खासकर पंजाबी रसोई में सुबह का नास्ता पराठों का ही होता है, भरवां पराठे अचार और साथ में बड़ा सा ग्लास नमकीन लस्सी का. Knead the soft dough with all the mentioned ingredients for paratha, cover with muslin cloth and keep aside. Heat the ghee in a pan add cumin, as they crackle saute ginger, green chili and onion for 5 minutes. Add green peas stir and mix, add salt, red chili powder, grated amla, roasted cumin powder and dry mango powder mix well, cover and cook the mixture for 10 minutes on slow heat. Switch off the gas, cool the mixture completely mash with masher of your hand. Now divide the dough into equal small balls, stuff each with the mixture and roll the paratha. Heat the tava and fry the paratha both side till golden by applying oil. 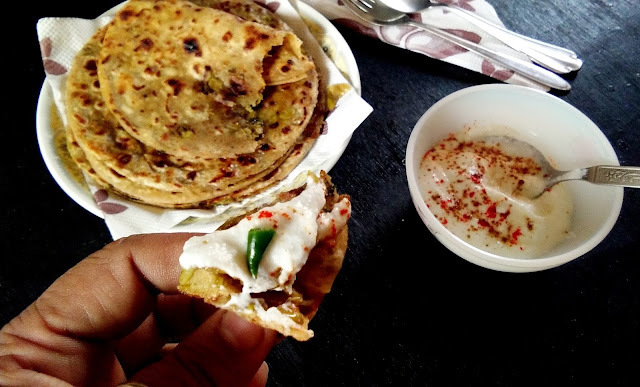 Serve hot with green chutney, pickle and dahi. Note:- If the peas still hard you can coarsely grind into grinder then mix coriander.